Where to Wear the Engagement Ring on the Wedding Day? 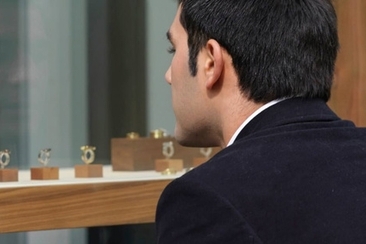 Is an Engagement Ring Necessary to Be Considered Engaged? Can You Just Wear the Wedding Band as the Engagement Ring? Does the Couple Have to Have Matching Rings? The engagement ring is presented at the proposal, it is traditionally the ladies who will receive this ring and are expected to wear it from the proposal on. The engagement ring signifies that the young woman is committed to her partner. The most common types of engagement rings are diamonds, which can also include other gems along the band. 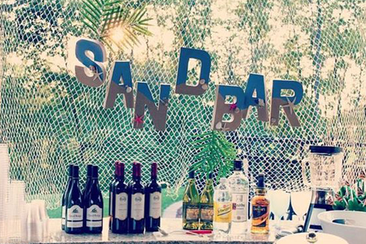 They can vary a great deal in terms of price, look and style. When presented the engagement ring, be sure to place it on the left-hand ring finger (the third finger, next to the pinky). Traditional engagement rings were given as an exchange for the father’s permission or as a symbol of ownership of a special young lady. But, as times changed the engagement ring did as well and became a symbol of the man’s wealth. While this symbolization of the engagement is quite dated, the tradition has remained as a way to ask for one’s hand in marriage. Today it is customary for a gentleman to spend at least 3 months’ pay on the engagement ring, but this too is a dying tradition. 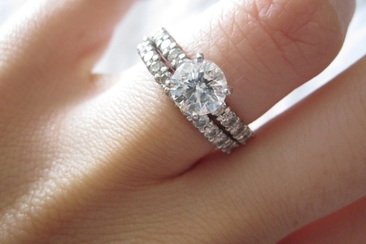 The engagement ring will, however, most often be more expensive than the simple wedding band. Unlike the engagement ring, the wedding band is exchanged between both partners. This is done during the wedding ceremony and the wedding ring is more simple, typically just a simple metal band with no center stones. 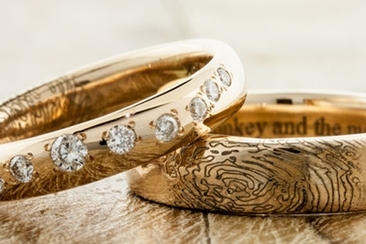 The circular shape of the wedding band has represented the undying love the couple has for one another for centuries. The actual shape represents infinity while the actual hole for the ring represents the doorway that leads to all future events. 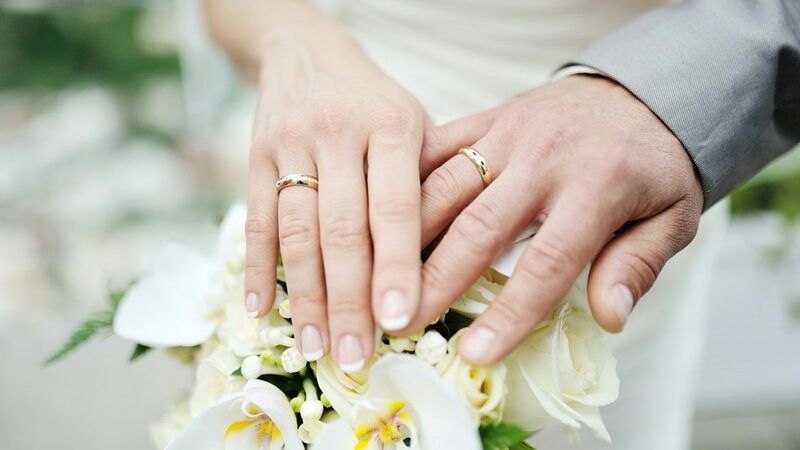 Giving the rings to one another on the wedding day represents the commitment the couple promises to one another. 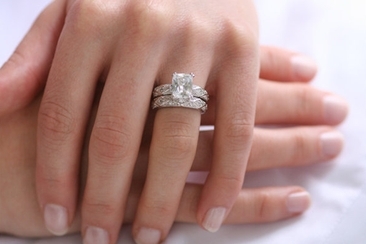 So, how do engagement rings and wedding bands work together? They both represent the love and commitment between you two and both rings are to be worn on the left-hand ring finger. You should switch the engagement ring to the right-hand ring finger on the wedding day because during the ceremony, your spouse will place the wedding band on the left-hand ring finger. This is a tradition that dates back to the early years of Egyptian time. It was believed that the veins of the left-hand lead straight to the heart, which ensured that the ring and the person you placed it on were in the closest position to the receiver's heart. 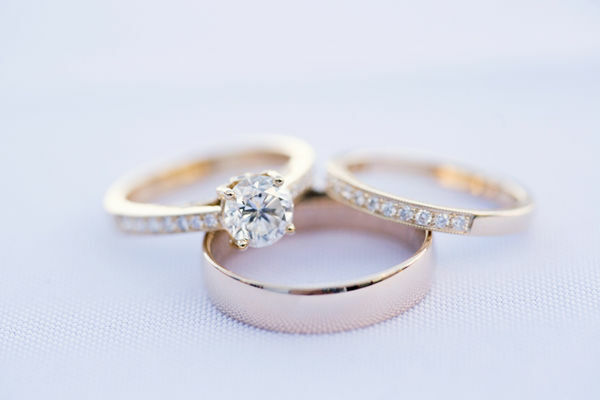 However, some women choose to stack the wedding band underneath the engagement ring and others will choose to only wear one on the wedding day. Anyway, this is your choice. As for the matching problem, there are many jewelers that sell the engagement ring and wedding bands as a set to ensure they match one another and complement each other in a stylish way. But. you and your partner can decide just how do engagement rings and wedding bands work together at your own will. You can even choose not to have both. The engagement is a promise that you and your partner will make you union official, but the ring is not a must. This can be done verbally but “someday, we’ll get married” is not an acceptable agreement for an official engagement. The exchanging of the ring began in Greek times as a token to confirm the agreement, but it is not necessary today to make such an official statement. Deciding to wear your wedding band in place of an engagement ring can lead to a lot more questions and harassment than you may want. Luckily, wearing a single ring was actually customary during the Renaissance and third century. The ring presented was actually a betrothal ring and the exchange took place prior to the official wedding outside the church on the steps. During the ceremony, there was no exchanging of rings. In previous years, it became a popular trend to buy coordinating rings in a set of three which included his and her wedding rings as well as the engagement ring. These wedding bands were typically the same design with his ring being larger than hers and the engagement ring usually had a diamond center stone. But, there is no requirement that states the rings have to match, in fact, today most wedding bands are bought separately to match each person’s personal style and preference. While the bands can be bought in various sizes and styles, they still complement a majority of engagement rings. So you will not have to worry about how do engagement rings and wedding bands work even if you do not buy them as a set.